Dorothy was born on March 3, 1943 on the family farm just north of Altamont in Moccasin Township one of five siblings into the Christian family of Henry and Helen Richert-Heiser. She was baptized on March 21, 1943 and on April 14, 1957 confirmed her faith at the Immanuel Lutheran Church where she has continued her membership. Dorothy began her education at the Immanuel Lutheran Grade School, then graduated from Altamont Community High School with the class of 1963. She then received her bookkeeping degree from Sparks Business College, in Shelbyville, Illinois. Dorothy then was employed at the Effingham Warehouse for 40 years, her only employment, and retired from Dust & Son’s in 2004. She was active with her church in the Ladies Aid Society and the Lutheran Women’s Missionary League (LWML) for numerous years until her eyesight failed her and confined her activities. 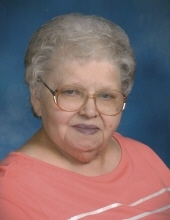 Dorothy leaves to mourn in her passing: 3-Sisters: Jeanie (husband, Ray) Deters of Teutopolis, Illinois; Ruth (husband William Sr.) Nuxoll of Effingham, Illinois; and Alice Durbin of Altamont, Illinois; 1-Brother: Lawrence Heiser of Altamont, Illinois. 13 Nieces and Nephews, 28 Great Nieces and Nephews and numerous cousins. To send flowers or a remembrance gift to the family of Dorthy Ann Heiser, please visit our Tribute Store. "Email Address" would like to share the life celebration of Dorthy Ann Heiser. Click on the "link" to go to share a favorite memory or leave a condolence message for the family.